Starter games can be played with 100 points and will last around 20 minutes. The typical standard game is 300-350 points and this will give you a game of 2 – 2.5 hours. A starter box game is the smallest practical game and consists of 160 points. That will take anywhere from 40-40 minutes. 400 point games will last most of an evening, and for real meaty games of 500-600 points, you will get an entire afternoon of fun. 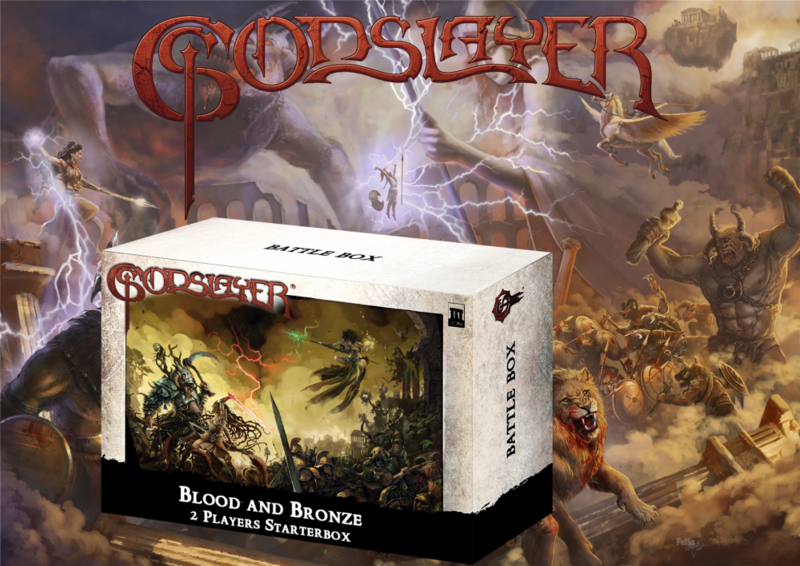 Godslayer can be played realistically up to about 1000 points for a BIG battle. 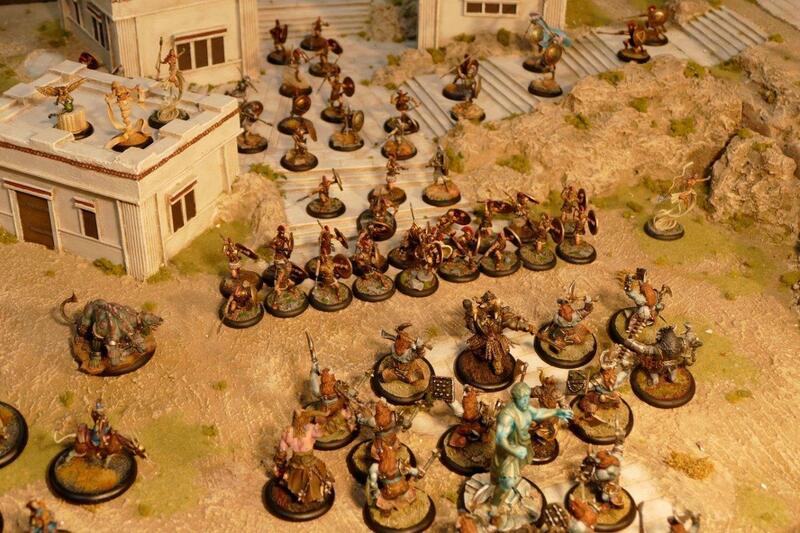 and models are incredibly well balanced after four years intensive playtesting. - Profile cards list all statistics and special rules, so there’s no need to thumb through army books. 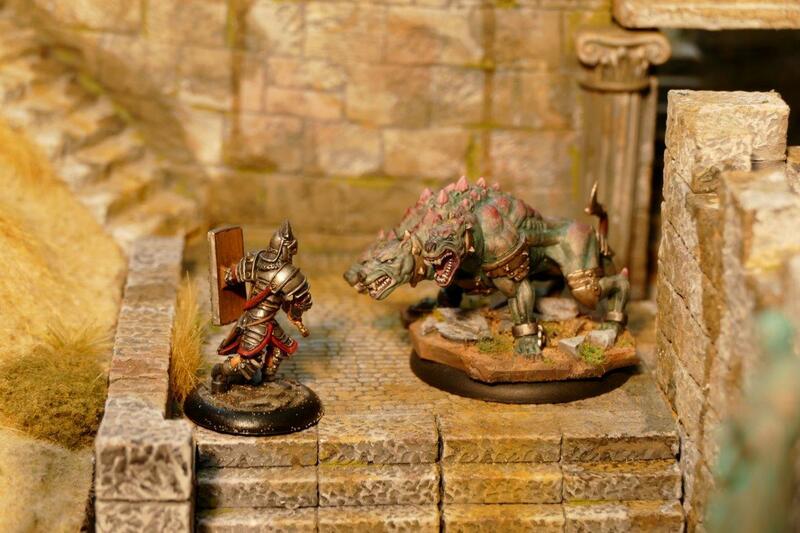 - Godslayer is a 2D6-based game which utilized an incredibly flexible action-point system. - Models can perform actions in almost any sequence, so there are no artificial phases. 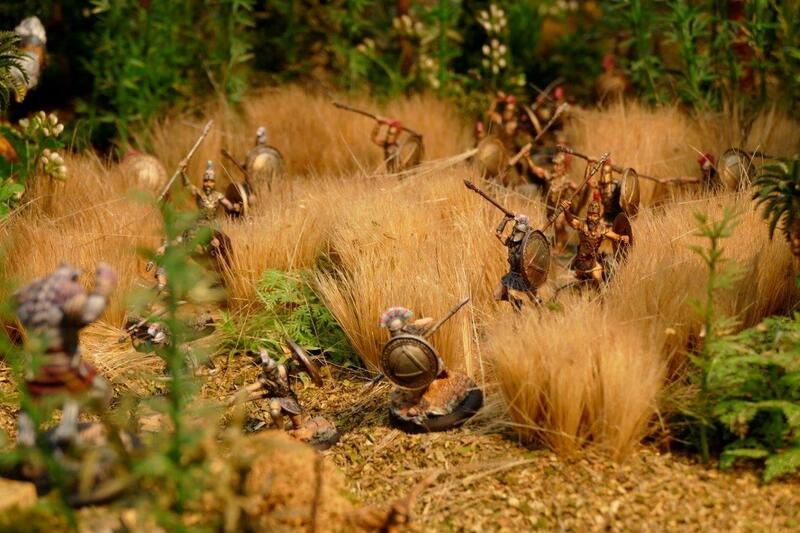 - All models have abilities as well tactics they can use by paying action tokens, for example Phalanx, Testudo, Shield Wall etc. - Characters and warlords can order tactics to other models and units. the tactical situation is continuously evolving so both players remain intensely interested in the game throughout. - Most models have different attack options, some have multiple weapons. - Warlords can be equipped with a different set of items from a long list of options. outstanding detail and flexibility of actions. Banebrood – Beast-men and barbarians created by a psychic plague, and enslaved to the Urghast (the cosmic force of primal fury), dedicated to smashing civilizations and returning humanity to the law of the Jungle. Beastspawn: Beast-men with tribal organization Bison-brood, Boar-brood, Ram-brood bull-brood etc. Reavers: Barbarian cannibals with mutations, loosely based on Germanic barbarians and Sea Peoples. Guilds: Mostly elite Dwarven troops representing the guilds of Nordgaard culture, including Einherjer warrior-priests of the gods, scouts, and prospectors. Trolloth: Mongol-style Trolls of the elemental race of Shadow. Pure warriors of a feudal culture. Shadow Trolls: Ethereal creatures of shadow with magical powers. Gnolls: Goblinoid Mongol-style horde subfaction. Tribal: Celtic style warriors, druids, bards cromlech guardians, with guerrilla style melee-focussed focus. Fiannor: Nomadic Celtic-style models. Scouty, missile-focussed sub-faction. Tuathan: Nature-worshipping Wyldfolk, faeries and dryads dedicated to reawakening the dead goddess of creation. Sind ja noch einige Tage, kann also noch werden. Drucke euch auch die Daumen! Godslayer "Lets Play" Video auf Beasts of War. Eine vollständige Partie mit 350 Punkten.